The Americans with Disabilities Act (ADA) affects every property owner. 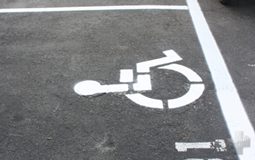 Regardless of company size, all businesses must now have the proper amount of handicapped-accessible parking stalls, and required van parking spaces. 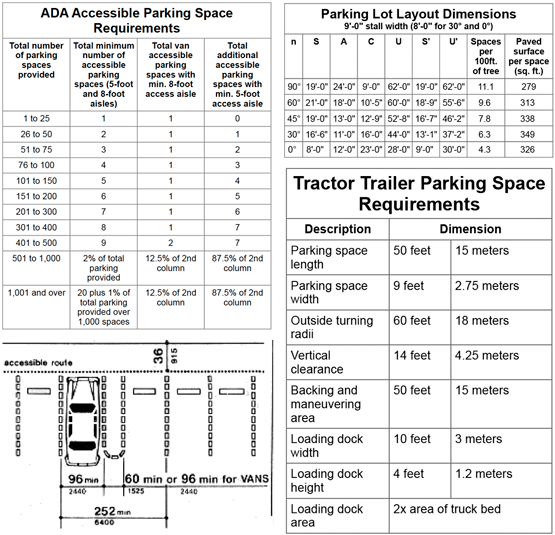 Many municipalities require a newly constructed parking lot (at commercial or large residential properties) to be striped up to ADA requirements before an operating permit is issued. 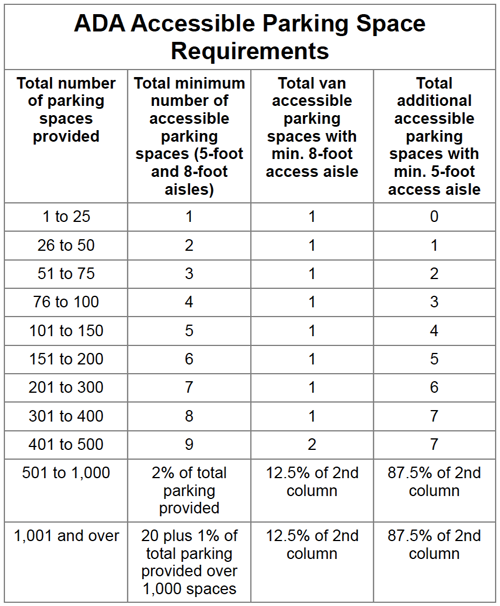 In addition, they must also have a minimum number of parking spaces per 1,000 square feet of utilized facility. To be in compliance with ADA code, handicap signage must be on pavement as well as on an upright sign.